For me, sending a follow up email is not exclusive to meetings or interactions that end in action items and work product. 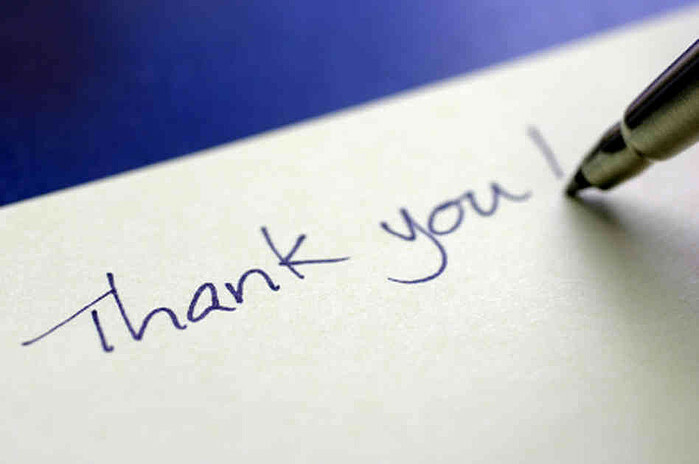 An email that contains a simple thank you is quite powerful and goes a long way in building a lasting connection. It offers an additional touch point between two people, doubles the number of interactions between you and another individual, and adds to the foundation of the relationship. It offers feedback to the person and, at the very least, shows them you enjoyed meeting and appreciated their time. Receiving thanks, according to Harvard Professor Francesca Gino in her book Sidetracked, also creates a ‘gratitude effect’. She says receiving gratitude “makes us feel a heightened sense of self-worth, and that in turn triggers other helpful behaviors toward both the person we are helping and other people, too.” By sending a quick thank you note you’re not only building more positive goodwill towards yourself with the person you emailed, you’re also help other people they interact with! Now, it’s easy to forget to write a personal note, especially with all the seemingly more pressing tasks to accomplish. I fight the urge to ‘take care of it later’ by making it regimented and scheduled. I find 30 minutes in the morning to think about the day before. I look back at my calendar and think about who I met, what I learned and how I felt. I try to remember specific comments or thoughts (the ones I can recall the day after are usually the best and most valuable) during our conversation that I can reference in my note and then, whether it’s for something as simple as a great conversation or for extremely helpful advice and feedback I say, “Thank you”.